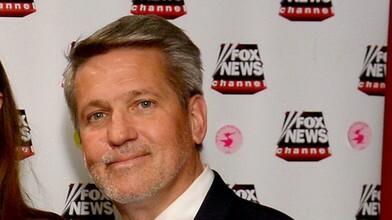 Hiring as Deputy White House Chief of Staff of Former Fox News Co-President Under Roger Ailes Presents Unnecessary Risk of Scandal to the President, the White House and the Nation! (Washington, D.C., July 26, 2018). 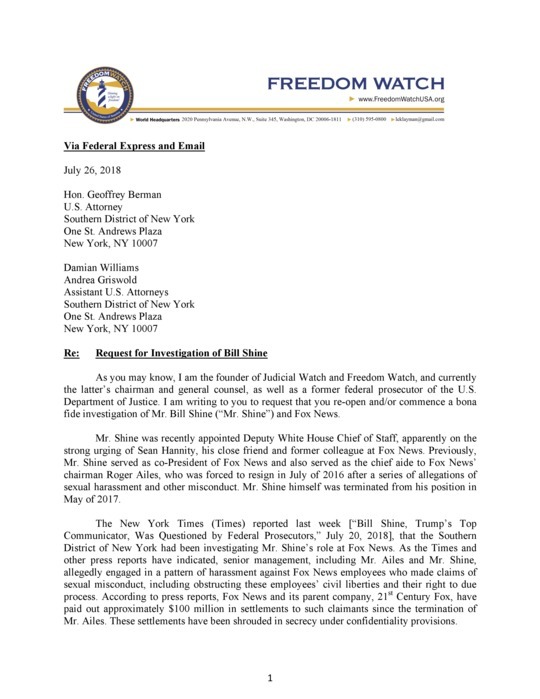 Today, Larry Klayman, the founder of both Judicial Watch and Freedom Watch, and now the chairman and general counsel of Freedom Watch, and a former federal prosecutor of the U.S. Department of Justice (DOJ), sent a letter (embedded below) requesting an investigation into the serious and as yet unresolved allegations concerning Bill Shine and Fox News. This request for a thorough investigation was addressed to the U.S. Attorney for the Southern District of New York, Attorney General Jeff Sessions and Deputy Attorney General Rod Rosenstein. The letter is self-explanatory. 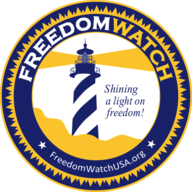 "I urge, as it is in the public's interest, a thorough investigation by DOJ and, if the allegations against Shine and Fox News prove to be true, appropriate legal redress. A full investigation is necessary to preserve and protect the integrity of President Trump, and the White House -- which is 'The People's House.'" "It regrettably would appear that the President unwittingly took the bad advice of and was misled by Sean Hannity, Shine's close friend and former colleague at Fox News, when he authorized the hiring of Mr. Shine as Deputy Chief of Staff for communications. Given this unfortunate and ill-advised appointment, a full and completely thorough DOJ investigation of the serious outstanding allegations against Shine and his time at Fox News -- as the 'right hand man' of former Fox News CEO Roger Ailes -- must now be aggressively and expeditiously pursued."